No matter which hairstyle you want, how long your current cut is, or what condition your hair is in, our hairdressers are here to help. At Clippers Hair Salon, in St Leonards-on-Sea, East Sussex, we provide an array of exceptional hairstyling and hairdressing services. Available for both men and women, our services will help you to get the look that you want. Whether you want to discuss our prices or book an appointment, please do not hesitate to give us a call. From a cut and full-head recolour to bright highlights, we are the salon to choose for a cut and colour. Our skilled hairdressers are able to cut to any style you desire, while we have a complete range of hair colours for you to choose from. To book your appointment, do not hesitate to give us a call. The day of your wedding is one of the most special days of your life, and every bride wants to look stunning. 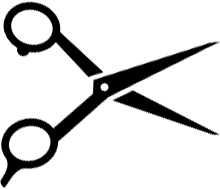 At Clippers Hair Salon, we are able to either style your hair on the morning of the wedding, or complete a cut and colour the day before. Get in touch with our friendly team now to book a consultation and discuss your requirements. No matter if you are having a family celebration or attending the office Christmas party, we will help you look your best. Pay our stylists a visit and they will complete the updo that you have always wanted. For those who suffer from damaged or frizzy hair, a keratin blow dry is perfect. Keratin is a protein that infuses your hair, creating a wonderful shine and control that lasts for up to three months. Get in touch with us now to book a consultation and discover more about how the keratin blow dry will revitalise your hair. Add volume to your hair or attempt a style that you’ve always wanted to try thanks to our extensions. Before fitting your hair extensions, we will complete a consultation to discuss your requirements, detail the costs involved, and carry out a colour match. Our extensions are of the highest quality, and can be fitted by one of various methods, which will be specified during the consultation. At Clippers Hair Salon, we offer unisex services, meaning our hairdressers are equally adept at working with men and women. All of our hairdressing work is available for men, while we also offer a specialist beard maintenance service. Contact us now, in St Leonards-on-Sea, East Sussex, to book an appointment at our hair salon.